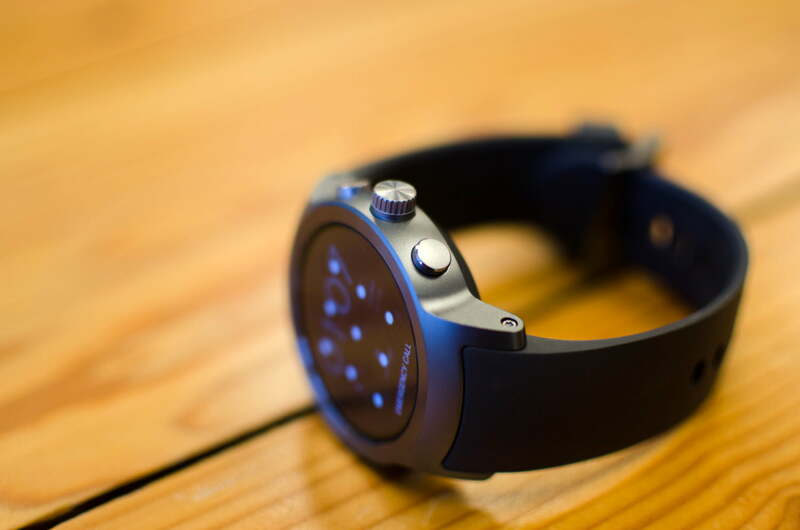 The Watch Sport is a good smartwatch -- mostly thanks to Android Wear. The wearables category continues to grow, but smartwatches are still in an odd place. Companies are finding it hard to sell the idea of a watch that costs $300 or more, yet lacks the longevity or resale value of a traditional watch. Technology is supposed to make things easier, and for a lot of people smartwatches don’t offer a compelling solution to a problem, making them a tough purchase to justify. 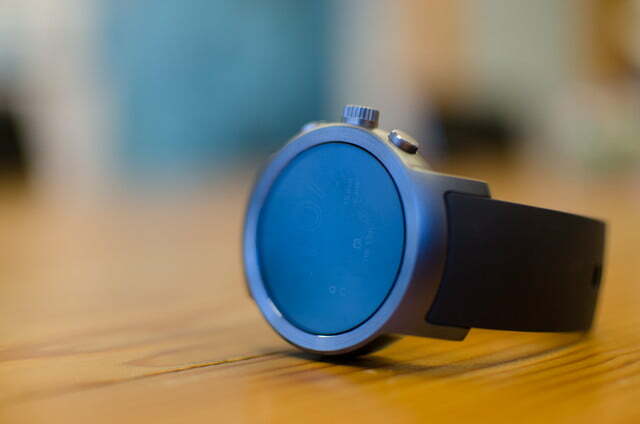 Android Wear’s first iteration essentially offered people a glorified notification reader. Sure, the user interface looked nice, but it was a nightmare to navigate – and you don’t want to think about navigating a smartwatch, something meant to be used at a glance. Android Wear 2.0 is Google’s second attempt, and it’s far more promising. 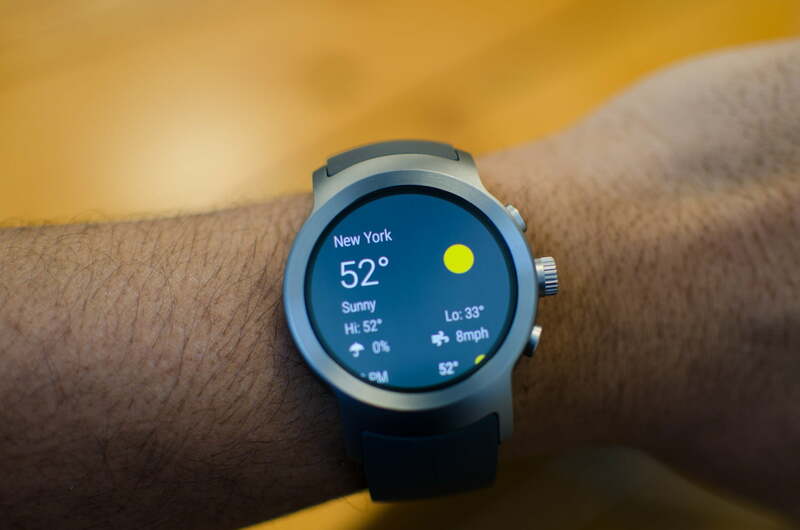 The launch debuted on the LG Watch Sport and Watch Style, which were designed in collaboration with Google like its previous Nexus devices. The LG Watch Sport is our focus here, and it had us interested in smartwatches again — until it ran out of juice. Let’s take a deeper look. 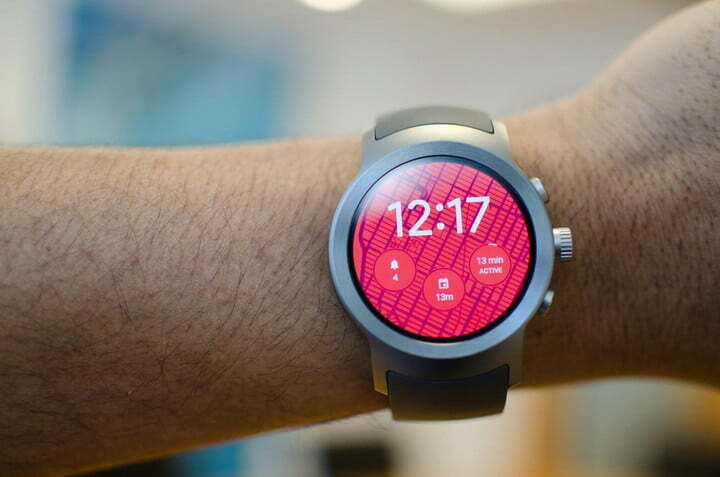 Update: Verizon has confirmed that its variant of the LG Watch Sport has been canceled. The carrier is offering customers who pre-ordered the device $100 off another connected smartwatch of their choice. By Adam Ismail on May 16, 2017. When you think of sports watches, Casio’s G-Shock series come to mind, or even Casio’s new outdoor smartwatches, the WSD-F10 and WSD-F20. There’s typically a lot going on, not just on the watch face but on the case as well. Watch faces are important. Google has kept the process of switching and customizing them incredibly simple. The LG Watch Sport goes against the grain with a stainless-steel design that’s fairly minimal. What makes it sporty is the polyurethane band, its IP68 water-resistance rating, and GPS. It also has three buttons that help make it more functional than the Watch Style. While I usually opt for leather-strap classic watches, the Watch Sport is more up my alley largely because of its design, though the dark blue is more beautiful than the grey. The gorgeous and large 1.38-inch P-OLED display helps too. Unfortunately, it’s thick and heavy. It’s not a watch you’ll forget on your wrist because it’s not the most comfortable to wear. It feels like a premium watch, but the rubber strap — which isn’t replaceable — contributes to my desire to take the watch off after long periods of time to rub my wrist. The screen is protected with Corning’s extra-durable Gorilla Glass 3, and the Watch Sport has an ambient light sensor that helps dim the screen and make it monochrome when you’re not looking at it. It’s powered by Qualcomm’s Snapdragon Wear 2100 processor with 768MB of RAM, 4GB of internal storage, and a 430mAh battery. It also sports Wi-Fi, Bluetooth, and LTE connectivity — the latter will require a SIM card that you can insert in the back. There’s also GPS, the IP68 rating that lets you take it for a swim, and NFC for Android Pay. I fired up my second-generation Moto 360, which has been collecting dust, and the differences between Android Wear 1 and 2 are startling, namely the poor design choices Google made the first time around. Users were required to swipe through so many screens to access a particular setting! In retrospect, version 1.0 feels especially clunky. Android Wear 2.0 – which I’m actually testing on the other hand — is a joy to use in comparison. The interface is streamlined and simple. Swipe down to access quick settings, and swipe up to move through your notifications. To minimize fingerprints on your watch screen, the crown rotates, allowing you to use it as a scroll wheel or to zoom in and out of maps. It doesn’t always scroll through every screen, however: some apps aren’t optimized for that yet, including some screens in the Android Wear 2.0 interface, strangely. Pressing the crown instead (it’s the middle button on the Watch Sport) pulls up your apps. You can pin your most used apps to the top. While there are a lot of Wear apps, the bulk of them have yet to be updated to version 2.0. This may take a while, and in general there needs to be more app support so that notifications can offer a richer experience. Uber finally joined, but where’s Lyft? Where’s Twitter? We’ll have to wait and see how soon third-party developers support version 2.0 or the platform in general. There’s also the Google Play Store, which means you don’t need your phone to download Wear apps, and iPhone owners using the Watch Sport can bypass the App Store. It also means you don’t need to clutter your phone with apps you may use only on your smartwatch — a godsend for people who don’t like to have redundant or unnecessary apps on phones. We don’t recommend hunting for apps through the Play Store, because it can be annoying on the small screen. Use the Google Play Store website on a computer and remotely install apps to your watch instead. 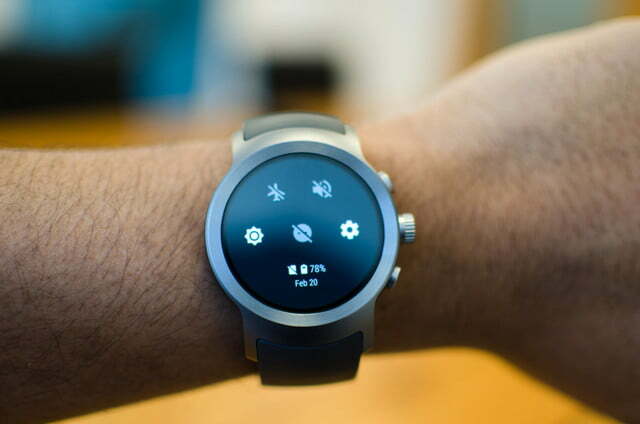 The user experience on the Watch Sport is solid for the most part; the Snapdragon Wear 2100 processor is sufficient, but there are moments of stutter and lag, such as when you’re downloading or updating apps. 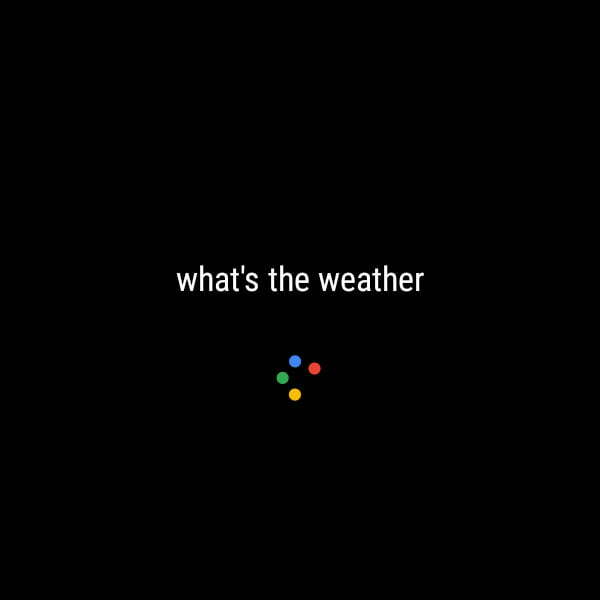 Loading apps, the Play Store, and even Google Assistant takes longer than expected too, but it’s unclear if this is a connectivity or processing issue. 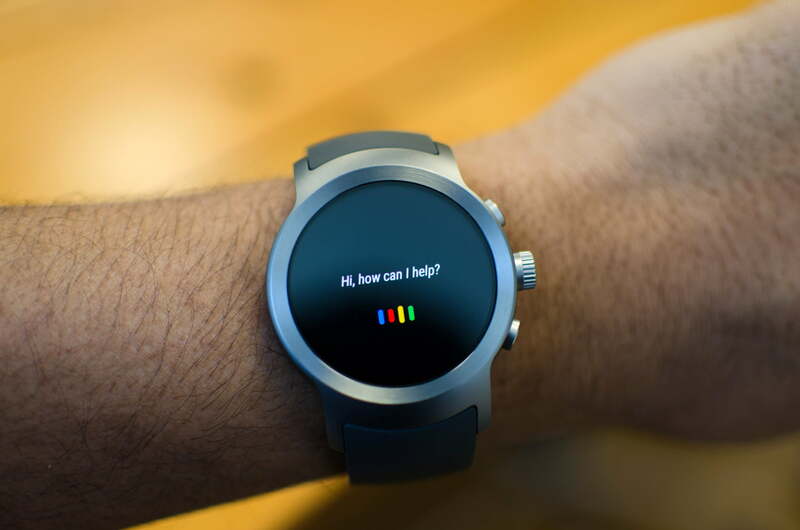 Pressing and holding the crown button calls up Google Assistant, or you can just say “OK Google.” The functionality is almost identical to what you could do previously with voice search on Android Wear. While it can’t perform some functions the Assistant on Google Home can — such as controlling your smart home devices — it’s more personable. 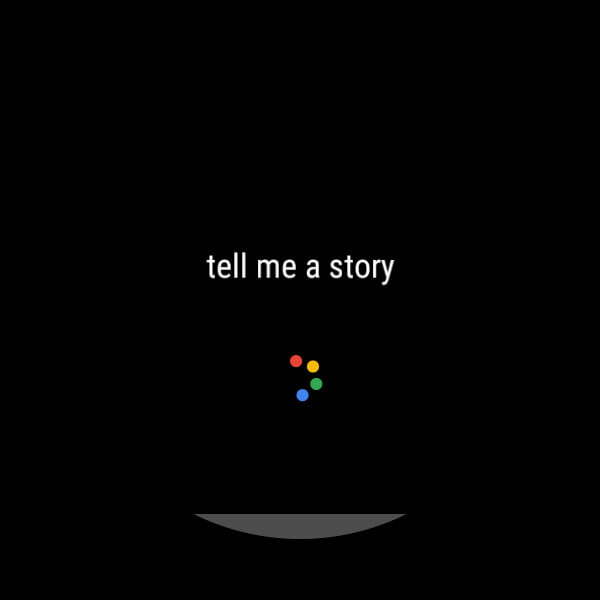 You can ask it to tell you stories, jokes, and more as you can with the Assistant on other platforms. Google has built a great voice assistant that allows you to easily trigger actions like finding your heart rate, placing calls, setting a reminder, sending a text, and more. But there’s opportunity for more once Google decides to unify the Assistant across its platforms. The company tells us Assistant on the watch will support third-party actions “like turning on/off the lights (through Philips Hue) and making a restaurant reservation (through OpenTable),” though no specific timeline was mentioned. By far, two of the best features of Wear 2.0 are face customizations and complications: Just swipe left or right to scroll through other watch faces. You can set one up by long-pressing it, or by tapping the settings icon when perusing. Google has built a great voice assistant that allows you to easily trigger actions. Complications, by the way, are meant to mimic those smaller subdials on a traditional watch. They offer up information at a quick glance, such as the time to your next calendar event, how active you’ve been this week, and more. You can change which one you’re showing by tapping on them when customizing the watch face — third-party apps can add their own complications as well. Android 2.0 offers more control over the color scheme of a watch face and layout of the complications (you can also have none). The best part: If you have more than one favorite style, you can customize as many as you want and just swipe left or right to switch. For example, if I’m heading to a fancy dinner I’ll swap to a minimal, traditional-looking face with no complications. When I’m out and about, I’ll swap to one that more readily gives me important information. This is my favorite feature in Android Wear 2.0 — watch faces are important, and Google has done a great job in keeping the process of switching and customizing them incredibly simple. Google has added Smart Reply functionality from services like Inbox and Allo to the Android Wear OS itself. This is possible with on-device machine learning, which impacts third-party applications as well. Smart Replies have definitely been useful, but if they aren’t doing it for you, tap Reply to access voice-to-text, an emoji scribbler, or the keyboard. I usually opt for voice input or the keyboard, where I can swipe through letters — it’s surprisingly accurate. You can also press the globe sign to switch keyboards to the handwriting input, in case you want to draw your letters. This works well for when you want to write short responses, but the other input types are far more versatile. Still, all these input methods allow for greater choice in how someone wants to respond to notifications. While it may look silly talking to your watch or trying to type, I’ve found it useful in situations like when I’m in a crowded train and can’t access my smartphone. 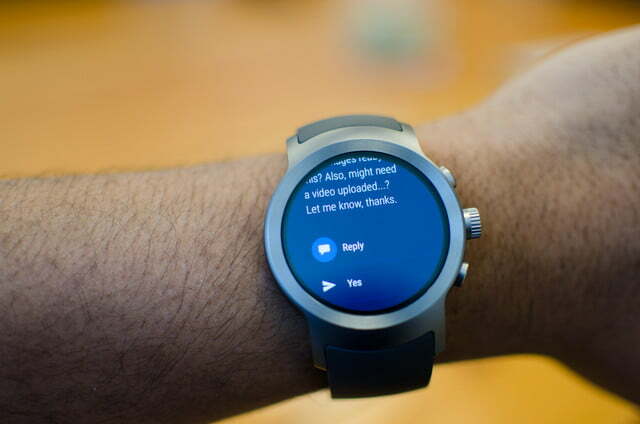 Notifications are the crux of a smartwatch, and Android Wear handles them excellently. 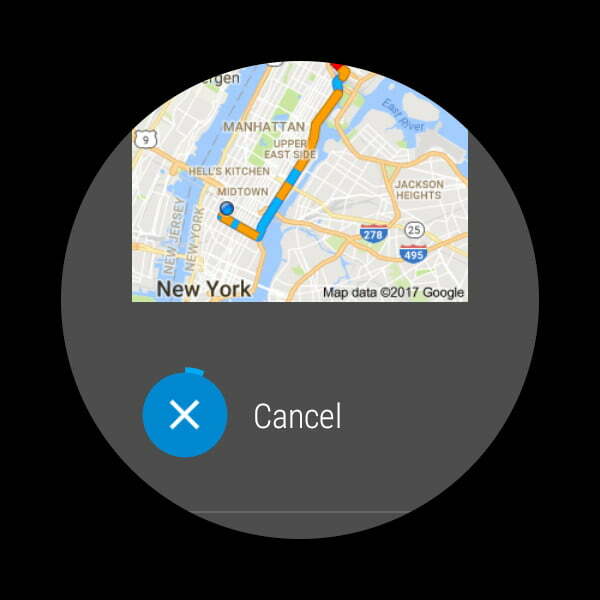 A few gestures from the first version of Android Wear have carried over too, but you have to turn them on. Flick your watch away from you to pull notification cards up, and flick it towards you to go back and even pull your settings down. These gestures are my favorite way of interacting with a smartwatch, because it’s truly hands free. 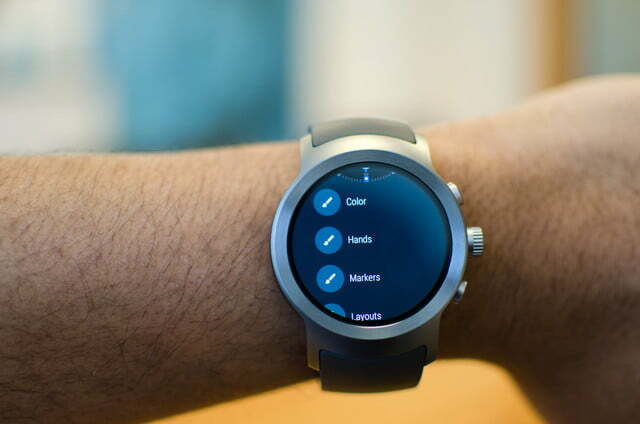 In the world of finance, Google has finally caught up with the likes of Samsung and Apple with payment functionality on its smartwatch platform. 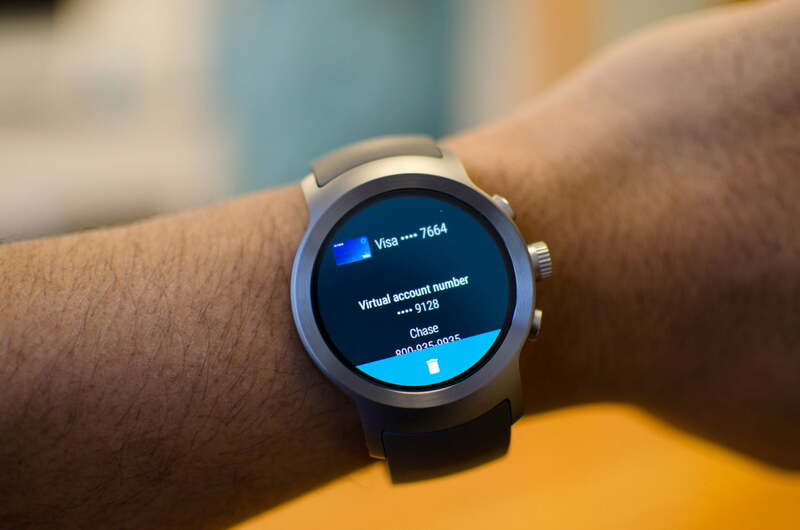 Android Wear works with Android Pay thanks to the NFC sensor in the Watch Sport, meaning your smartwatch will need NFC to be able to use Android Pay. The top button on the Watch Sport is configured to Google Fit, but the bottom is for Android Pay. This can be customized to your liking, but by default pressing the bottom button pulls up your credit card; all you have to do is hold your wrist up to the payment terminal. It works pretty well, though it may take a few extra seconds to load and process — expect to spend some awkward time with the cashier. Google Fit has been improved in Wear 2.0 to automatically detect workouts, and the app can also offer tips on proper technique for some exercises. The GPS is relatively accurate — it would usually put me a little less than a block away from where I was standing. And that finally brings us to battery life. No matter how much I enjoyed using Android Wear, I was constantly worried on my device’s battery life. When I didn’t use the Watch Sport and left it on my desk for about 20 hours, it went down from 100 percent to 66 percent. Standby time needs to be improved and likely LG and Google can pull that off, but the watch probably just needs a bigger battery. It feels like a premium watch, but the rubber strap — which isn’t replaceable — contributes to my desire to take the watch off after long periods of time to rub my wrist. Bottom line, it’s near impossible to get a full 24-hour cycle with the Watch Sport, and that’s without even using the GPS or fitness-tracking features. Moderate to heavy usage left me at 20 percent when I came home from work at about 6 p.m. If I had an after-work event to head to, the watch would most likely be dead. Light usage — almost only checking notifications and responding to a few — fared a little better. I ended a work day with 30 percent battery, which still isn’t good enough — especially when the Apple Watch and the Samsung Gear S3 can keep going and going for comparable prices. It’s unacceptable that battery life is so abysmal. I usually take off my watch when I get home, and the Watch Sport goes straight on the charger. Charging it every night isn’t an issue — it’s the fact that I have to think about my watch’s battery constantly that bugs me. People are already having a hard time justifying a smartwatch purchase. You know what makes it worse? Seeing a dead smartwatch that can’t even tell the time. Batteries degrade over time, too. I imagine a year from now I’ll be coming home with an even lower amount of battery left — that’s worrying and makes it hard to recommend the watch. The LG Watch Sport is exclusively available on AT&T’s network, and prices start at $250 for a two-year contract, or $350 outright. 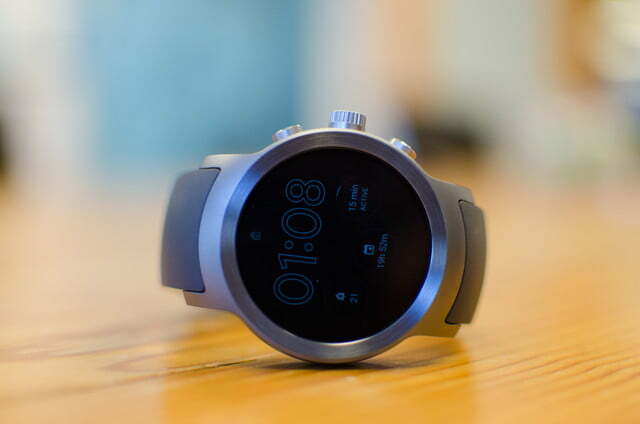 The device was originally to be released on Verizon as well, but after months of delays, the carrier has confirmed to Digital Trends that the watch’s release has been canceled. In response, Verizon is now offering those who pre-ordered the Watch Sport $100 off a connected smartwatch of their choice. If you’re a Verizon customer looking for something similar on the network that supports LTE connectivity, there’s the carrier’s exclusive, just-released Wear24 smartwatch. There’s also LG’s own Urbane Watch 2nd Edition, which has not yet received Android Wear 2.0, but should get an update sometime in May. Samsung’s Gear S3, which runs the company’s proprietary Tizen operating system, should be launching soon on the network as well. LG offers a limited warranty that covers your device for one year from the date of purchase, and you’re only protected from manufacturing defects. 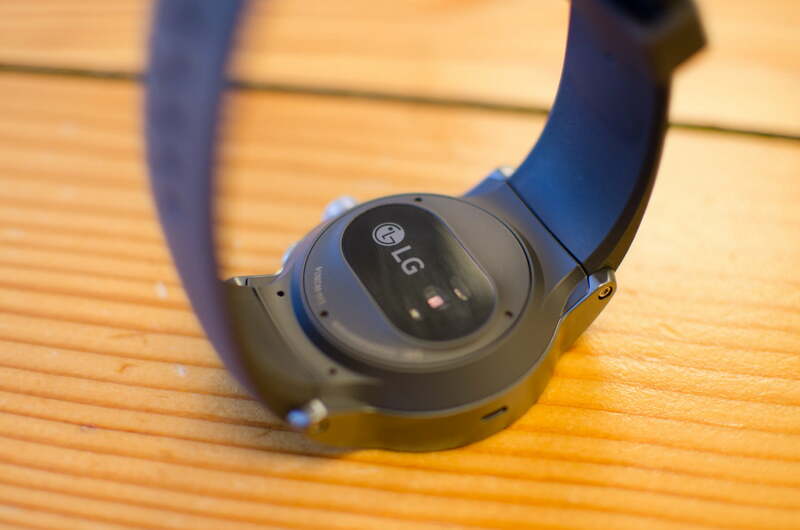 The LG Watch Sport is a good smartwatch, mostly thanks to Android Wear. If you’re interested, go to an AT&T store to see how it fits your wrist first, as that can make or break your decision. For $350, you get the latest features of Android Wear plus GPS, an IP68-rating, three buttons, and NFC. Smartwatch enthusiasts will enjoy the device, but I think Android Wear still won’t incite the curiosity of the average person. That’s not necessarily a fault of the OS but an issue with smartwatches in general. I find myself liking the device the more I wear it, but battery life is what kills it. If this can be fixed via a software update, we’ll update our review, but not being able to handle a day is inexcusable. The Apple Watch and Samsung Gear S3 can, and they cost around the same. If you’re an iPhone user, there’s no reason to go for any smartwatch other than the Apple Watch — it’s the best hands down. The Samsung Gear S3 is also a solid option too. 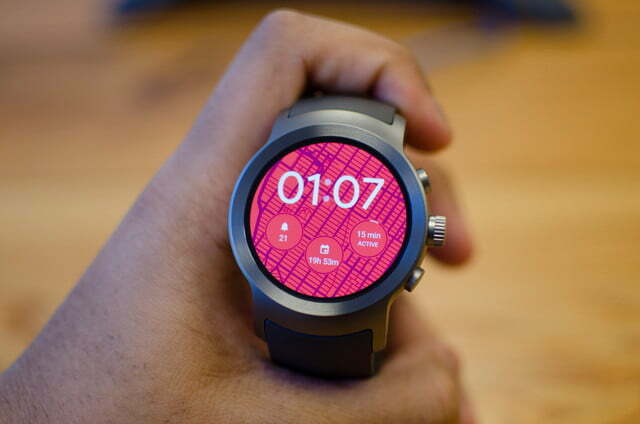 There will be an onslaught of smartwatches powered by Android Wear this year due to the release of version 2.0. If you’re unsure about the Watch Sport’s design or battery life, you can always wait to see what’s coming from other manufacturers. 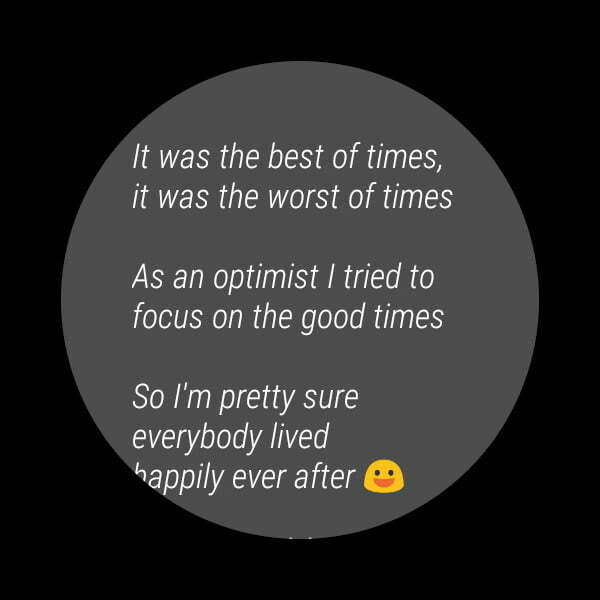 The nice thing about Android Wear is the software experience will always be the same. Smartwatches aren’t like traditional watches. There will be a time when they will no longer get software updates (presumably around two years), and then it largely depends on how long the device’s battery will survive. Don’t expect to keep one for more than two to three years. No. If you’re into smartwatches and Android Wear, you will likely enjoy the Watch Sport if you can get past its size. It easily lets you respond to notifications, you can track various activities, wear it while you swim, make calls, and send texts. It handles all these core functionalities well enough that you won’t need to rely on your phone all the time. But all of that’s pointless if you’re constantly worrying about the battery life.